Orficast Thermoplastic Tape is a low temperature thermoplastic knitted textile-like material for the fabrication of small orthoses and casts for immobilization. It is applied directly to the patient after it is activated. Orficast can be activated in three different ways: in a water bath, by use of an Orfit Dry Heater or by use of a heat gun. 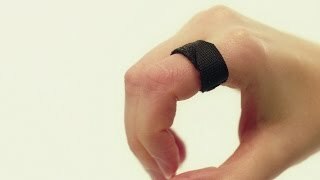 This video demonstrates a full finger immobilization orthosis using the wrap method. 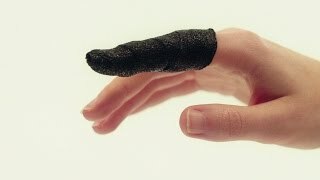 The goal of this orthosis is to immobilize the finger in a resting position so it can heal. This video demonstrates a dynamic extension orthosis, known as the Capener orthosis. The goal of this orthosis is to increase the range of motion of the PIP joint by exerting light traction of the tight ligamentous structures. This video demonstrates how to fabricate an orthosis to prevent the claw-hand deformity. This video demonstrates how to fabricate an anti-swan neck orthosis using the pinching method. The purpose is to prevent hyper-extension of the PIP joint in the swan neck deformity. This video demonstrates how to fabricate an anti-swan neck orthosis using a rolled oval 8 method. The purpose is to prevent hyper-extension of the PIP joint in the swan neck deformity. This video demonstrates how to make an immobilization orthosis for the thumb CMC. 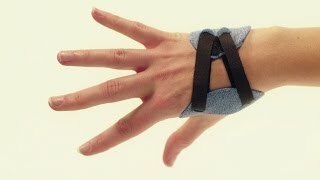 This video demonstrates how to fabricate a “thumbs up” orthosis, worn in cases of mild thumb sprain, keeping the trapezium free. This orthosis does not fully prevent adduction and/or abduction of the thumb. This video demonstrates how to make a functional orthosis in case of root arthrosis. This video demonstrates how to fabricate buddy tapes, a common treatment for sprained finger joints. The goal of buddy tapes is to protect an injured finger by taping it to an adjacent finger to rest the injured joint ligaments as they heal. 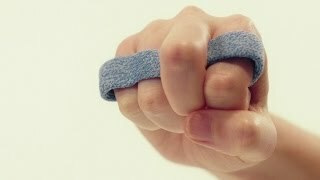 This video demonstrates a yoke orthosis for the index finger. This orthosis can be used in a post-operative extensor tendon rehabilitation protocol. It can also be used to restrict motion of one PIP joint and to encourage motion at another PIP joint. 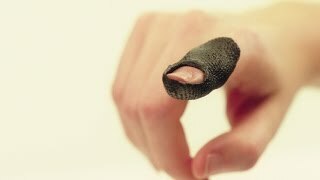 This video demonstrates a yoke orthosis for the middle finger. This orthosis can be used in a post-operative extensor tendon rehabilitation protocol. 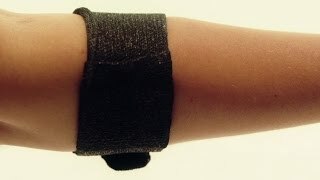 It can also be used to restrict motion at one PIP joint and to encourage motion at another PIP joint. This video demonstrates a PIP dynamic extension orthosis with Orficast and Orfitubes. This video demonstrates how to make a trigger finger orthosis. This design consists of a small ring fabricated around the base of the involved finger. It can also be used for a pulley protector after flexor tendon surgery with pulley reconstruction. This video demonstrates how to make a hinged orthosis which will allow full flexion of the PIP joint but will block full PIP joint extension. This video demonstrates how to make a functional orthosis for patients with basilar joint arthritis. 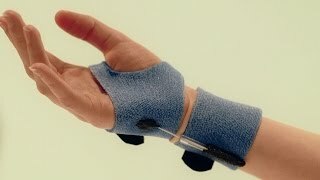 This video demonstrates how to fabricate an anti-wrist radial deviation orthosis with a dynamic pull on the ulnar side, used for example in case of rheumatoid arthritis of the wrist. 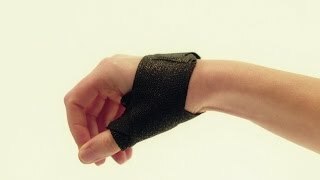 This video demonstrates how to make an Epicondylitis Counterforce Brace, useful for lessening the tension on the wrist extensor tendon muscles during activity. This video demonstrates how to fabricate a radial gutter immobilization orthosis for patients with a diagnosis of De Quervain’s tenosynovitis, a tendinitis of the extensor tendons of the first dorsal compartment. 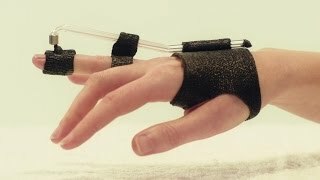 This video demonstrates how to make a functional orthosis for patients with ulnar drift of the MCP joints of the fingers. 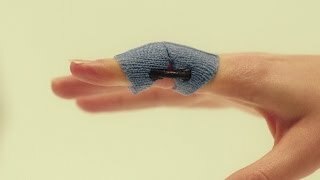 This video demonstrates how to make an orthosis for a tendinous mallet finger in hyperextension using a wrap technique. This video demonstrates how to make an orthosis for a tendinous mallet finger, positioning the DIP in hyperextension.